This will be no surprise to anyone; losing weight can be pretty tough. Starting off is said to be the hardest part of it, but many will argue that shedding that last few pounds is the toughest. Either way, the entire process can be frustrating. 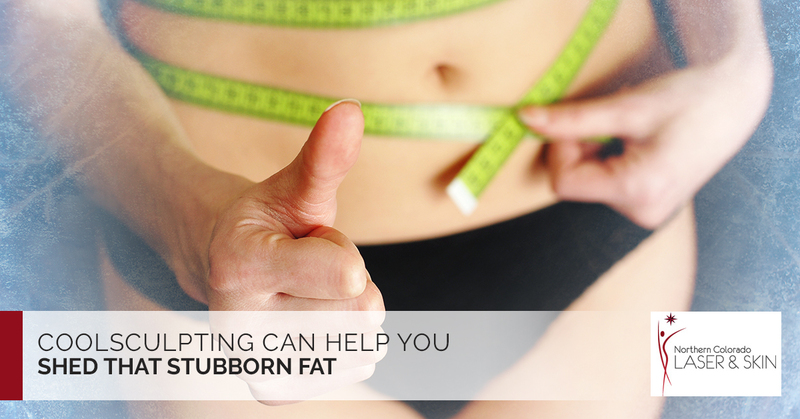 You might be just a little overweight, or have those few pockets of fat that just won’t go away. You know, the small bulge on your thighs or the muffin top that no matter what you do, you just can’t seem to get rid of it. You might just give up and learn to live with it. That is, you figure you can be content with a few bulges here and there. But what you need to know is that there is a way to rid yourself those ugly bulges, it is with a procedure called CoolSculpting. Now, you can read all about this procedure right here. But more importantly, you can read about the benefits of losing just a little bit of weight. That’s right, shedding as little as five or 10 pounds comes with a host of benefits. Northern Colorado Laser and Skin in Greeley offers you these benefits of losing just a little bit of weight. When you are even just a little bit overweight, it puts a lot of added strain on your joints. So when you do lose that weight, your joints will feel better and you will probably crave less couch time and want to engage in more physical activities. Sleep apnea and snoring can be caused by excess weight, even just a little bit. If you vanish that extra weight, it could help you sleep better. In fact, it probably will help your spouse sleep better if your snoring has been keeping them awake at night. Studies have shown us that heavier people have poorer cognitive skills. What we get from this is that skinnier people are smarter people. Lose a lot of weight and you may even become a genius. Really, this one is a no-brainer. If you lose weight, you look better; and when you look better, you feel better about yourself. You shed a few pounds and suddenly you aren’t so self-conscious about taking off your clothes. And as your BMI drops, you become more easily aroused, which leads to, well, you see our point. According to a Duke study, obese people are 25 times more likely to say they suffer some level of dissatisfaction between the sheets as opposed to their leaner counterparts. But best of all, even a small amount of weight loss resulted in an increase in sexual satisfaction. Believe it or not, studies show us that leaner workers make more than their overweight colleagues. To make matters worse, overweight people have a lower chance of getting a promotion than those who are fit and trim. While it might not be fair, it is what studies conclude. Most of you know that smoking and getting too much sun increases your risk of cancer, but fewer people know that being overweight is also linked to cancer. That is not very good news. But there is good news: Losing weight can lower your risk of several types of cancer. No, you won’t have extra money because you don’t eat as much food, but that is a good guess. The reason you will have extra money after losing weight is that your future medical bills will go down. Studies show that obese people spend 90 percent more on annual health care than their peers who are at a healthy weight. So that is a really great reason to get stoked about shedding a few pounds. When you lose a few pounds, you will notice that you have more energy and it takes longer for things to slow you down. It all makes sense of course, you simply don’t have to lug around that extra weight and so you use less energy. So if you are curious about CoolSculpting and shedding a few pounds, contact Northern Colorado Laser and Skin.